Can business help end the cycle of global poverty? 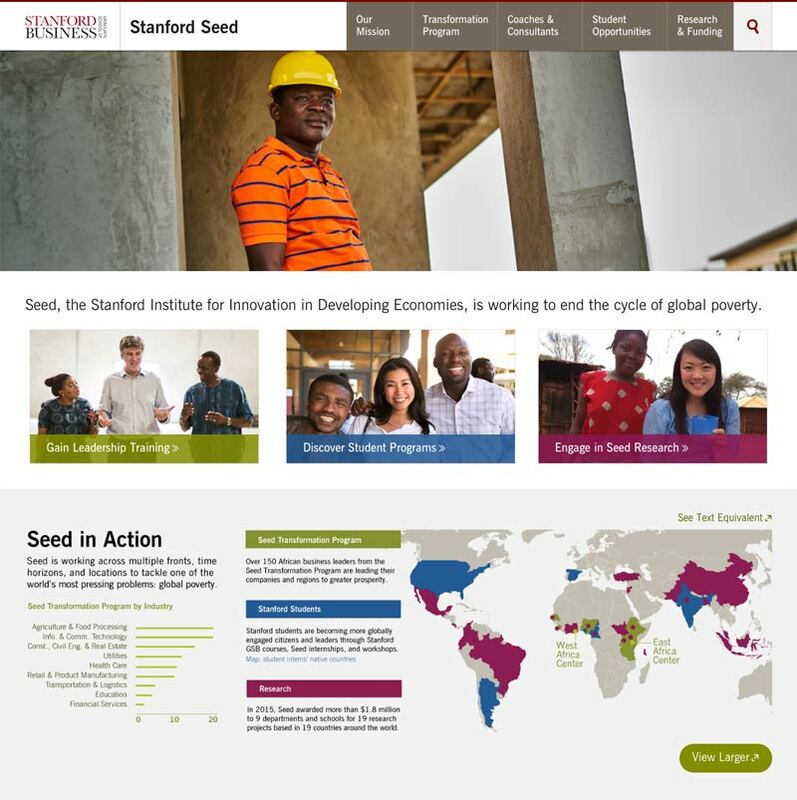 The Stanford Institute for Innovation in Developing Economies, known as Seed, certainly thinks so. Seed believes that business is one of the most powerful engines of change to move developing economies to greater prosperity. 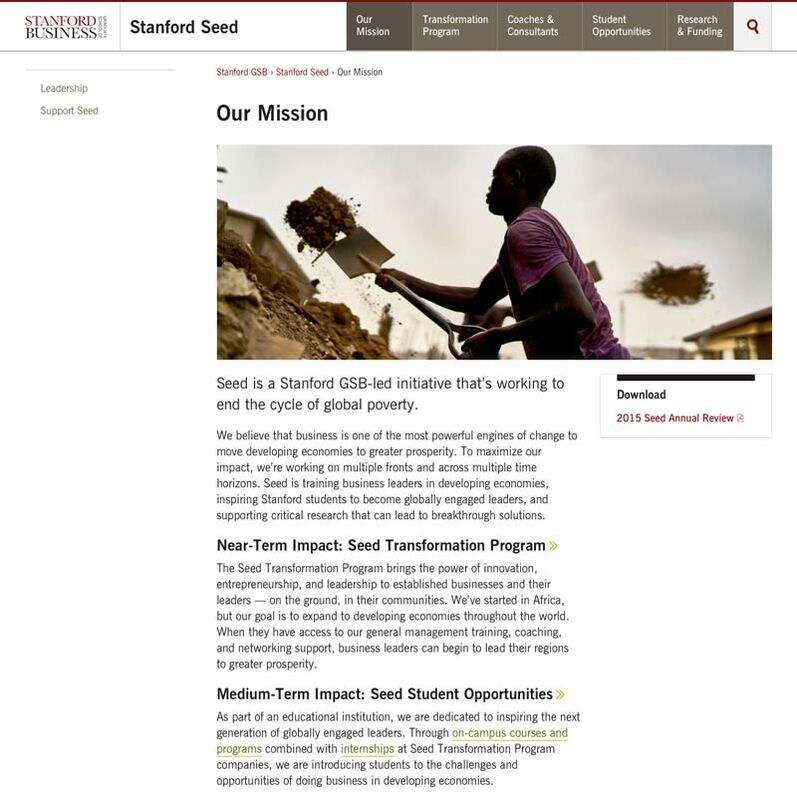 As a Stanford GSB-led initiative, it’s working to end the cycle of global poverty by training business leaders in developing economies, inspiring Stanford students to become globally engaged leaders, and supporting critical research that can lead to breakthrough solutions. Clearly articulating that mission and vision took lots of interviewing, strategizing, positioning, and messaging. 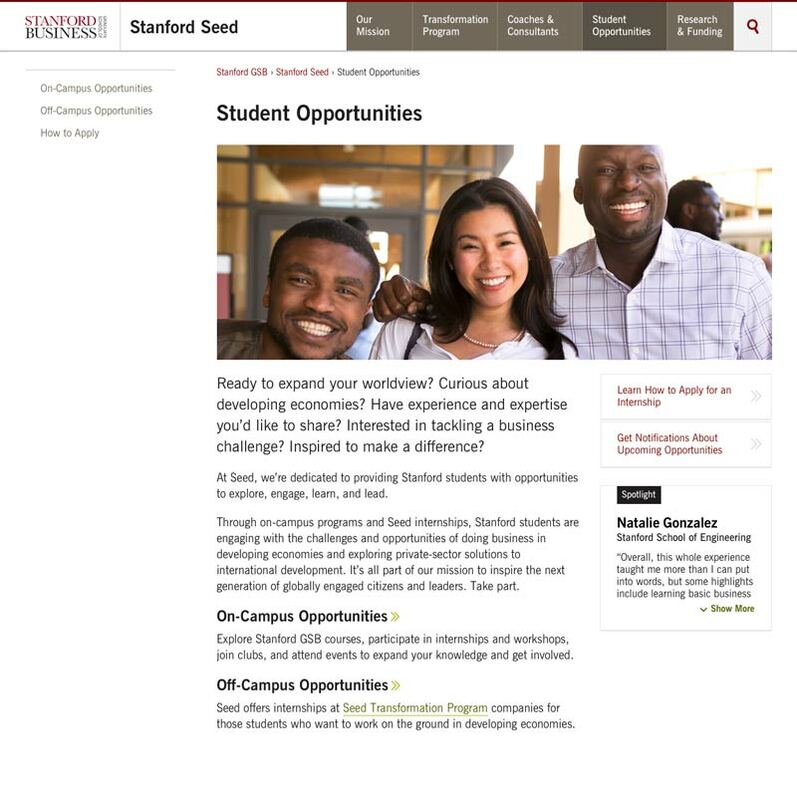 With multiple audiences to appeal to—business leaders in Africa, faculty and students at Stanford, prospective volunteer Coaches and Consultants, and donors—the task wasn’t easy. But neither is ending poverty.